Brief Synopsis – A down on his luck businessman begins to stalk a free agent baseball star who just signed a contract with the local team. My Take on it – Even though I watched The King of Comedy (1982) last week (another Robert DeNiro stalker movie), I was pleasantly surprised that I liked this one so much. Maybe it’s the whole baseball thing or maybe it’s because the movie was done as a thriller, but who really cares why since it was good. DeNiro is excellent (as always) as a man stressed by all the happenings in his life that cause him to snap. As a father, I found the scenes with his son (who lives with his mother following a divorce) very disturbing because the show his true personality and why he acts the way he does. 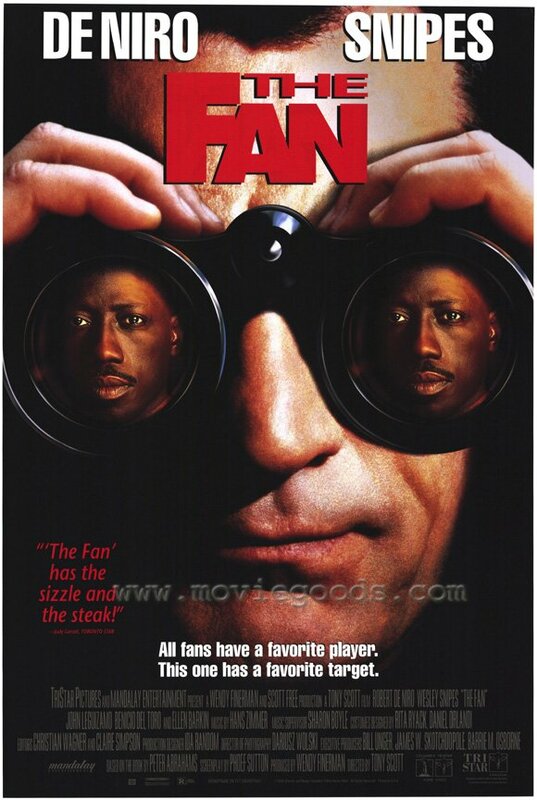 Wesley Snipes is also great here. He shows that even a rich and arrogant sports hero can also show compassion and love. In contrast to DeNiro’s scenes with his son, Snipes’ scenes with his son (who also lives with his mother following a divorce) show love, tenderness and caring that a parent should have for their child (even if estranged). I love that this movie shows that beneath the guise of a thriller, we can all see the yin and yang depictions of a father-son relationship that ultimately show each of the character’s true motivation. They both choose many of their actions based on their love for their sons, but their motivation is different; one to gain the love of his child, the other to nurture and cherish the love already there. As a baseball fan, I enjoyed the fact that I caught many of the sports references. The movie is very good and enjoyable, but it still lacks the sheer edge of seat entertainment and excitement of fellow stalker movie Misery (1990). Besides, it’s hard to beat stalker Kathy Bates. Bottom Line – Enjoyable thriller/stalker movie that is multi-layered and seems to also have a poignant message. Recommended! Actors are very good. And I remember liking it when it first came out. Haven’t watched it since, though. No idea if I’d still like it.